Possibility to spend the night at Bangkok Don Mueang airport (DMK), if open 24 hours. Services available, places to rest (free resting zones), or look for the list of nearby hotels and vip lounges..
Don Mueang airport is almost constantly busy, even during the night. It is recommended to have earplugs and blankets or a sleeping bag, as the place can get pretty chilly. Where to rest: On the Departures level of Terminal 2 you can find plenty of comfortable benches and ample surfaces where to lay down, especially next to some of the eateries, while the observation deck is quieter. 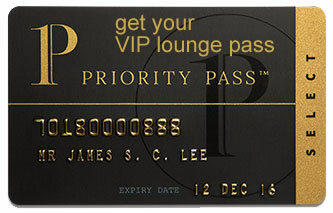 Another option is to enter one of the VIP lounges, some of which open 24 hours a day. SEE VIP LOUNGES Passengers with a bigger budget can check into the hotel situated across from the enclosure. Baggage: A left luggage service is available on the second floor of Terminal 2. The Amari Don Muang Airport Bangkok Hotel (Tel +66 2566 1020) is found across from the airport and is connected through a pedestrian bridge. There are more options in the surroundings, some of which offer courtesy shuttles for their guests. Take A Rest Donmuang Residence (Tel +66 909 455 000), Montri Resort Donmuang Bangkok (Tel +66 877 950 055), Don Mueang Airport Modern Bangkok (Tel +66 958 811 575), Thip Mansion Don Mueang (Tel +66 991 166 365), Sleep Owl Hostel (Tel +66 2085 1155), Diamond & Rust Hostel (Tel +66 2101 5462), Add Home Hostel (Tel +66 2929 9607), The Nine Hostel (Tel +66 941 524 565), D-hub Hostel (Tel +66 958 800 582).